Explore Siem Reap on a family holiday that is sure to please everyone, from culture-seeking adults to adventurous kids. Get off the beaten track with a bike ride through the temples of Angkor, experience authentic Cambodian culture in the countryside and be immersed in rich traditions of this timeless land. Welcome to Siem Reap, the charming gateway to the famed temples of Angkor! Upon arrival, a driver and English speaking guide will be waiting to provide transport to the hotel for check in. Use the time to take a rest from the flight or to head into town to discover Siem Reap on an exploratory stroll. In the afternoon, a local ‘remork’ (similar to the Thai tuk tuk) will offer the trip’s first glimpse of Angkor at the legendary Angkor Wat. Alternatively, experience the views of the temple from the sky during a tethered helium balloon ride, 120 meters in the air! Built in the early 12th century, Angkor Wat was constructed to represent Mount Meru, the Hindu/Buddhist home of the gods. Inside the temple, its walls are covered in stone carvings, bas reliefs, and more than 2,000 Apsara dancers. Construction of this icon (which is found at the heart of the Cambodian flag) is thought to have taken around thirty years of intensive labor. Depart the site after enjoying an unforgettable sunset experience. Return to the hotel. Begin the morning with a departure for a scenic cycling tour through the beautiful Cambodian countryside. 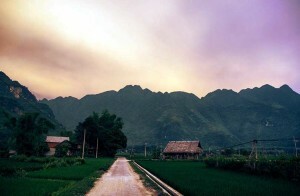 Pass through rice fields and villages, stopping for refreshments along the way. The road is all flat and easy to cycle, and the tour is fully supported. Therefore, if there is any member of the family that doesn’t care to complete the cycle, the private vehicle is available. 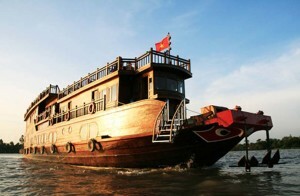 Continue to Kompong Phluck and embark on an interesting boat trip on Tonlé Sap Lake, the largest freshwater lake in Southeast Asia. Officially designated as a UNESCO Biosphere Reserve, Tonle Sap covers an area of around 250,000 hectares in the dry season, swelling to four times this size in the wet season. Board a local boat and visit Kampong Phluck, a village where stilt houses become submerged during the wet season. Take a break by disembarking for a tasty picnic lunch served in a floating house and enjoy the views as the local community goes about its daily life. Return back to Siem Reap in the early afternoon for some free time, followed by an evening performance of Phare, the ‘Cambodian Circus’. Starting at 8pm, professional artists of Phare Ponleu Selpak (PPS) perform an inspiring show suitable for people of all ages. The hour long show mixes traditional and modern theater, music, dance, acrobatics, juggling, and contortion performed in a story about Cambodian lives and society. After breakfast, pay a visit to the ancient city of Angkor Thom, the last capital of the Great Khmer Empire under the reign of Jayavarman VII. Enter the city through the ancient South Gate, an impressive stone gate carved with elephants and four giant faces. 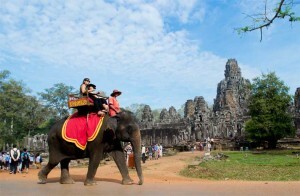 From here, continue to the 12th century Bayon Temple, located in the exact center of the city. Bayon is known for its 54 towers with enigmatic face, as well as its Terrace of the Elephants and the Terrace of the Leper King. Wrap up the Angkor visit with one of the site’s most picturesque: the Ta Prohm temple. Famous for being featured in the ‘Lara Croft Tomb Raider’ movie, Ta Prohm is unique in the fact that it has been left largely as it was found: overgrown by jungle trees and vines, with many parts of the temple crumbling to the ground. Flight of the Gibbon is a Zipline Eco-Adventure Tour inside the Angkor Archeological Park. 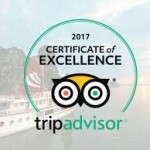 The experience offers 10 different zip lines (from 50 meters high to 350 meters long), suspended sky bridges, and the chance to abseil from a tree just like a gibbon. The experience includes a safety briefing and all equipment. Note: max 9 people in a single group, latest start time is 12pm, excursion lasts 3-4 hrs, maximum weight 125kg, not suitable for children under 5 yrs old or 1m height, no sandals permitted. Head just outside Siem Reap to the Happy Ranch. Get acquainted with purebred Cambodian horses before embarking on a 2-hour trail ride into the countryside. 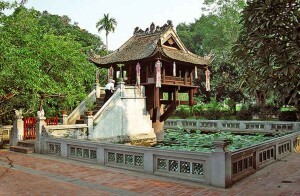 Tour through rice fields and local villages, and pay a visit to the rarely seen temple of Wat Atvea. Adults: USD 47 per person | Children aged between 2 and 12 years at the time of travel will receive a 10% discount off the Adult Price. Note: Happy Ranch can arrange lead rides on gentle ponies for young children. Their experienced staff will walk alongside and lead them or just assist them when necessary. Head off roading on a quad bike through the beautiful countryside of Siem Reap Province. The 12 km guided tour will ride through local villages, where it’s possible to learn about local life. The highlight of the 2 hour tour is the sunset in the rice fields. Adults: USD30 per person | Children aged between 2 and 12 years at the time of travel will receive a 10% discount off the Adult Price. Note: 2 (experienced) adults can ride on the same quad bike with maximum weight of 130 Kgs. Children are welcome to sit with their parents as passengers. From 14 to 16 years old, children can drive their own quad alongside an instructor. From 17 years old children who are experienced on a quad can drive their own. Enjoy a short walk through the dense jungles of Beng Mealea (65 km from Siem Reap) and feel like an explorer while discovering a completely overgrown temple (only recently made accessible.) It is one of the very few temples that actually give the opportunity to climb through it. Adults: USD 34 per person | Children aged between 2 and 12 years at the time of travel will receive a 10% discount off the Adult Price. Visit the Angkor Silk Farm 15 km west of Siem Reap to witness the entire process of silk creation from mulberry growth (food for the silkworms) to the actual weaving process. Children will get the opportunity to feed the silkworms – a fun experience! Enjoy a final day at leisure until the airport transfer for the departing flight.